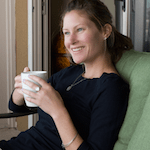 Kate Erickson is a creator, engager and implementer at Entrepreneur On Fire which is a 7-day a week podcast which interviews today’s most inspiring and successful entrepreneurs. Additionally, she is also the host of Kate’s Take, “The Entrepreneur On Fire Audio Blog” and author of The Fire Path, “A Beginner’s Guide to Growing Your Online Business.” Kate is passionate about helping entrepreneurs create the engine that will move their business forward. Hi Bill! I had a great time chatting with you on Timelines of Success; thank you again for inviting me on! Hopefully my 8 Rules for Success will resonate with your listeners and help others who are looking for powerful habits to implement in their daily routines. Kate, You are amazing and extraordinarily focused! Thank you for giving of your time and coming on Timelines Of Success – Podcaster!